JEAN-HENRY CEANT AND MAX BELLERIVE NAMED AS MARTELLY FAVOURITES FOR PRIME MINISTER. 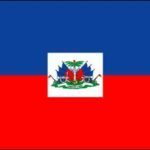 Perhaps they continue to overlook the obvious – Gervais Charles who is simply an honest Haitian patriot. Bellerive as interim Prime minister is an intriguing and appealing choice. He has been vetted already and that will facilitate his ratification by the congress if necessary. He will report to the congress in one year if he is still in place. His mandate will be to head an emergency interim government. He is already aware of the issues (education, clean water for cholera and other transmissible diseases, housing for homeless and refugees, security, disasters preparedness and finally good governance and combat corruption in managing the CIRH funds and programs). He will have to appoint an new interim cabinet supporting Martelly’s vision. He seems to have a good chemistry with the president. These government should satisfy the Haitian people who voted for Martelly’s programs. That temporary compromise will give the executive and the parliament plenty of time to negotiate a new permanent prime minister who will run the Martelly’s government and implement his vision that 68% of the Haitian people voted for. All I am proposing is a 2 track approach to end the stalemate and allow the government to manage a country in crisis while the democratic political process is being played out. Political debate has to continue and it is healthy. But, it would be a crime against humanity by Haiti’s leaders and politicians to stay put and let 20% of the haitian homeless at risk to perish under the cholera and impending hurricanes. Kiyes ki konnen kisa met peyi a genyen nan tet pal? Bon, miyes ki met jaden an? Bellerive has already demonstrated his criminality. Looks as though Martelly is just bluffing. Ceant now a losing chance.